Jamie here to share a card using this month's spotlight set Cheesy Pickups! 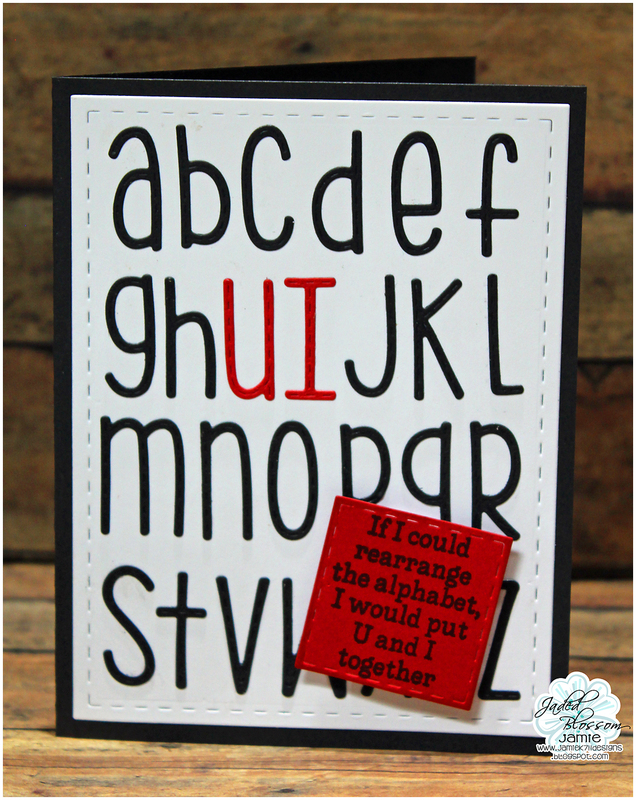 I started with the Card Mat Die and then cut all the Alphabet Dies out in black except for the U and I which I cut in red. Then I stamped a sentiment to a Stitched Square Die and pop dotted it onto the mat.